What are some of your priorities while serving as chair of the board? First, I think it's important to embrace Jimbo Fisher and his coaching staff. 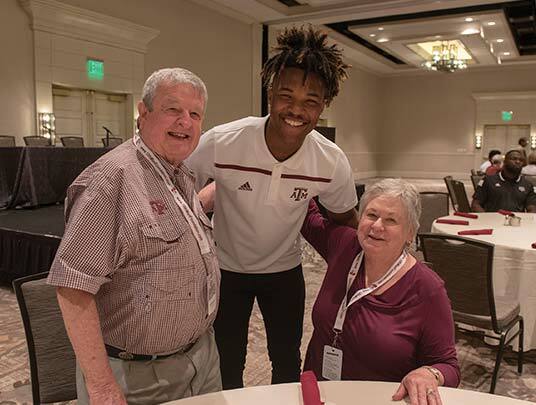 They have changed their lives and their families' lives to be part of the A&M family in hopes that this will be a great place for them to live and work. So, it's critical that we embrace the change and support them in every way. It's also very important to get the donor base engaged with them. I'm very excited that Champions Council Weekend in March featured Coach Fisher as well as his new staff because we want the donor base to get exposure to them. We have spent a tremendous amount of time and effort with the Game Day Experience Task Force. We tested some things last fall and plan to continue prioritizing and implementing improvements while integrating them with the new coaching staff. We also need to finalize the construction and funding for Davis Diamond and E.B. Cushing Stadium. Internally, we need to complete and roll out our strategic plan that sets goals for the organization and helps everyone on staff direct their time, energy and effort in productive ways. What are you most excited about regarding this year's board of trustees? We have the great benefit of continuity of the past, and a wonderful thing about this organization is the fact that so many stay actively engaged and involved. I love that people serve for four years and you have three new faces on the board each year. I am confident Kevin McDonald, Don Meyer and Jay Graham are going to be fantastic additions to the board. They were chosen because of their commitment to the organization and their commitment to athletics. What should donors expect from the 12th Man Foundation in 2018? We are making donor satisfaction a priority. We want to hear from our donors, understand their concerns, needs and priorities, and try to be responsive to those to the extent that we can. The main thing is trying to make every experience the best it can be. In some ways, fans coming to one of our facilities is similar to opening your home to guests. You want to be proud of what you have. We weren't proud of our softball facility and we didn't have a home for our track and field student-athletes. Those are things that we want to focus on to make optimal experiences for donors and fans. 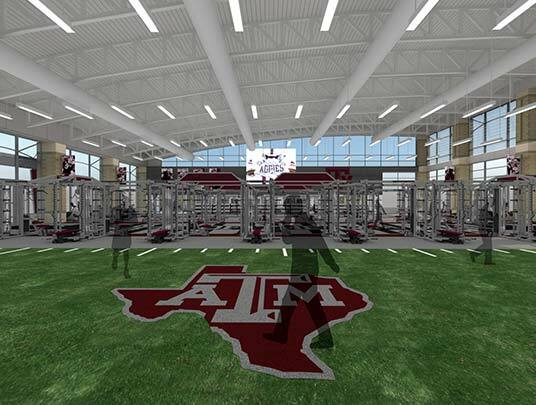 We also want productive environments for our student-athletes and coaching staffs. A primary obligation that we have is to be responsible stewards of donors' money. With the investment they generously provide, we want to create great programs and facilities that everyone will be proud of. What led you to pursue a career in business? Growing up, I thought I wanted to be a coach. I tell anyone who coaches that they have the greatest impact early in a person's life. I later realized you don't get to just be a coach…you have to teach as well. While I liked teaching, it wasn't the career path I was looking for. Then, I thought I wanted to be a doctor, but I didn't have the kind of mentors to show me the path to achieve that dream. I was fortunate. Somewhere along the way in high school I was directed toward business. I'm good at it…it's just something that I was designed to do. I've had great mentors and people who have given me opportunities to advance in my career. What I do now is serve on the board of Texas Children's, and in a way that satisfies my passion for children and medicine. And the 12th Man Foundation satisfies my passion for athletics. You have to love what you do because it is a huge time commitment. 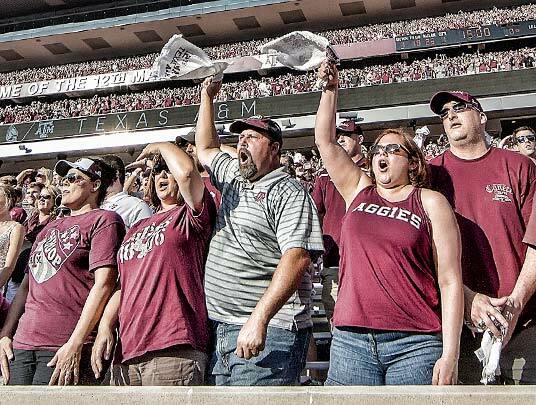 What inspired you to give back to Texas A&M Athletics? First of all, I love athletics. I spend every spare moment doing something active outdoors whether it's playing tennis, riding a bike, walking, jogging or running a half marathon. My husband, Allan, and I are former students. We have three boys — two who are former students and one who graduates in May. 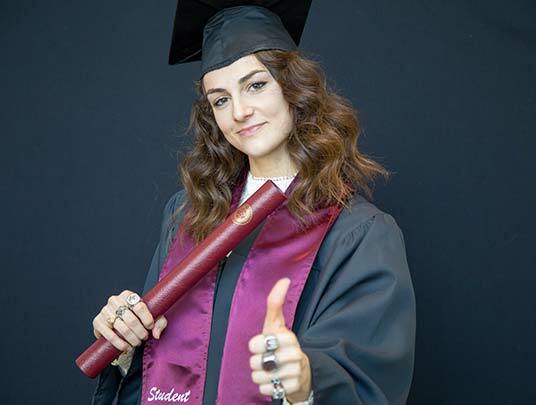 Our daughter-in-law and soon-to-be second daughter-in-law are also graduates. So, we love this university. We want to make it even better than it is for generations to come and we are willing to give back to ensure long-term success. I always say to follow what you love and pursue your passion, and I think people tend to support what they are passionate about in life. Where we spend our time is where we want to donate our money and our energy. In addition to athletics, we support the Mays Business School and the engineering school. 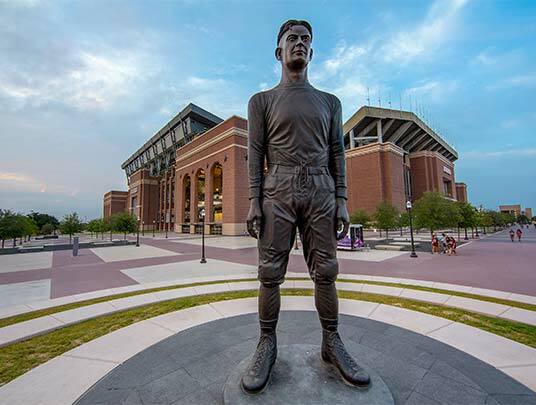 For us, it was important to be exposed to the 12th Man Foundation's mission of funding scholarships, programs and facilities in support of championship athletics, and to understand that athletics is not supported by state funds. Rather, donors are the backbone of our athletic programs. The largest single donation we have made was for the R.C. Slocum Nutrition Center. R.C. is one of our greatest ambassadors, so having his name associated with the facility made a big difference to Allan and I. After raising three boys who all played sports growing up, we understand the importance that proper nutrition has on athletics. It all comes back to having the belief that the contributions you make not only have an impact on the quality and success of the programs, but obviously make a difference for the student-athletes themselves.